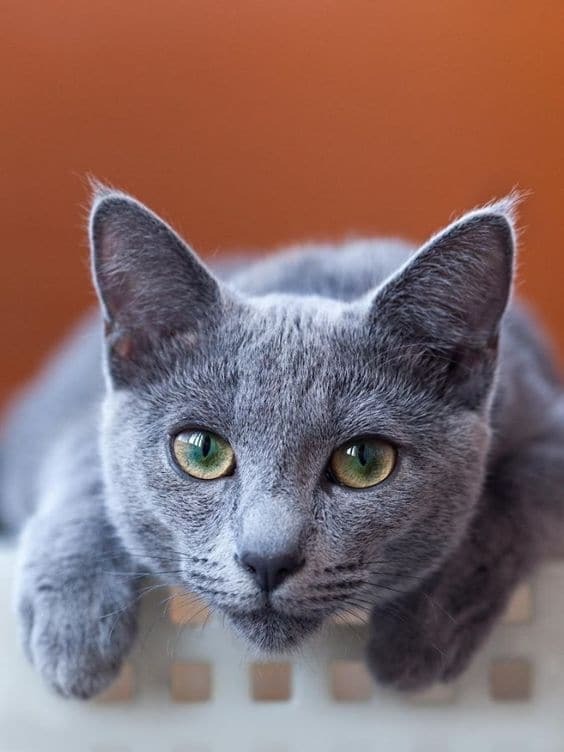 Chartreux is one of the oldest cat breeds with a lot of contrasts. This beauty has a muscular and healthy body, but fine boned legs. It is gentle giant that loves to communicate with their owners in a soft tone. This is a rare cat breed that belongs to France, though some recent findings have identified that these cats came from Persia along with the Knights to the French monasteries. Because of the wooly character of their coat they were given the name of famous Spanish wool of the 18th century. These large cats has very fast reflexes and are rather popular for their bluish grey wooly coat that is water resistant and copper colored eyes that match the coat color. 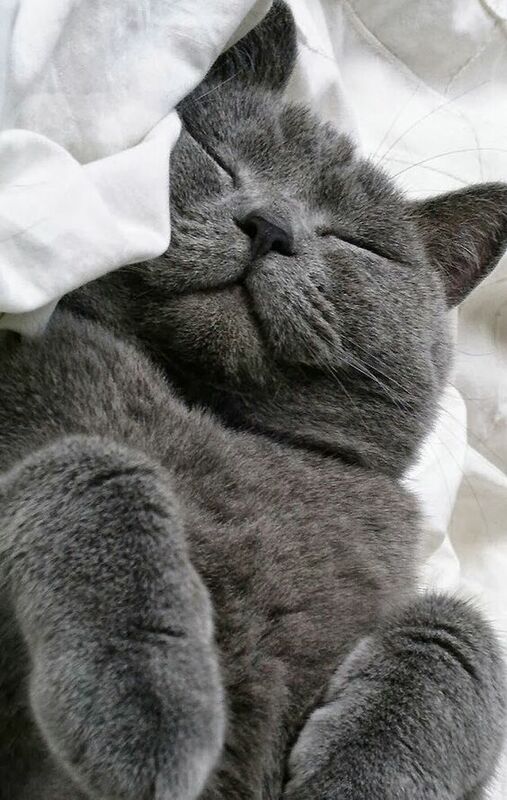 Their unique head structure and narrow muzzles gives this cat a smiling look. 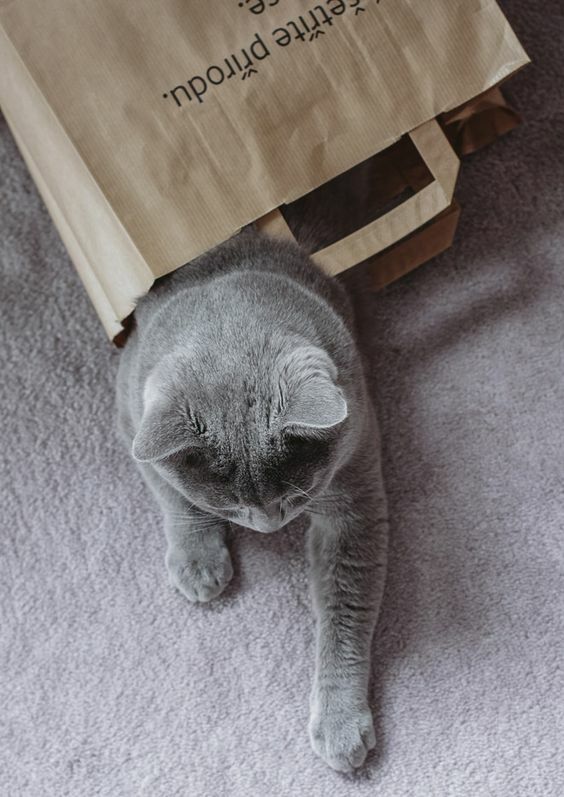 Chartreux are sought after for their hunting skills. They are excellent rodent hunters, a feature that makes these cats a farmer’s friend. The history of this cat is full of legends. One can find the mention of these cats in the French literatures of the 16th century. According to some stories the French crusaders brought these cats back from Persia to France. These cats were bred by the monks in the head monastery Grande Chartreuse in the French Alps. Other than offering prayer these monks also participated in various other activities like liquor making, breeding cats and forging of weapons. Due to the efforts of the monks the Chartreuse liquor originated in the monastery. The crusading knights brought these cats to the monastery and decided to lead a retired peaceful life in the monastery. They got these blue cats to the monastery from Africa. The cats were trained to have soft voices so that they don’t upset the meditation. We cannot verify the authenticity of the story. The most believable story about these cats came in the 16th century according to a literature found during these periods. The literature mentions the list of four most commonly found cat breeds in Europe, which includes the Angora, Spanish, Domestic, and the Chartreux. The very latest history about this breed came in 1920 when sister found few blue cats on the small island off the coast of France. These cats were found to be roaming freely in a hospital run by a religious order and their description matched Chartreux breed. The sisters decided to breed these cats and finally in 1931 these cats were first exhibited in France. During the World War ll, this cat breed was almost completely destroyed, but efforts were made to keep their bloodlines alive. 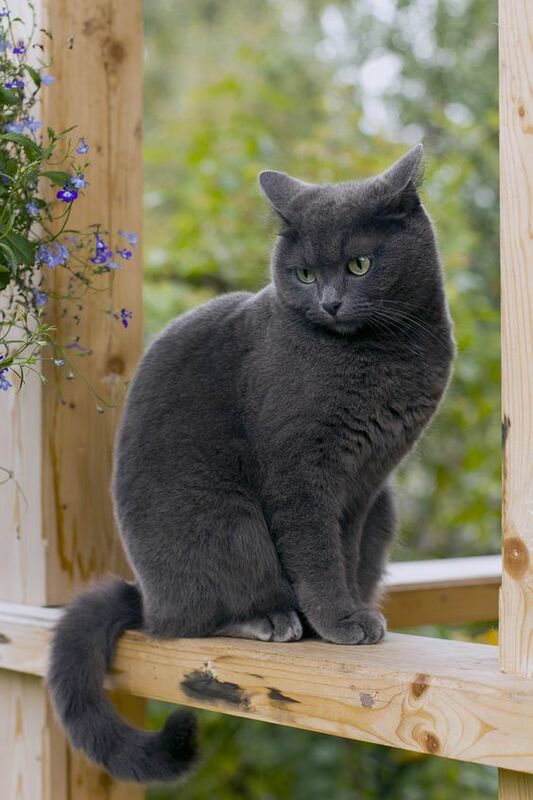 The few Chartreux cats were bred with Persians, Russian Blues and the blue British shorthairs. 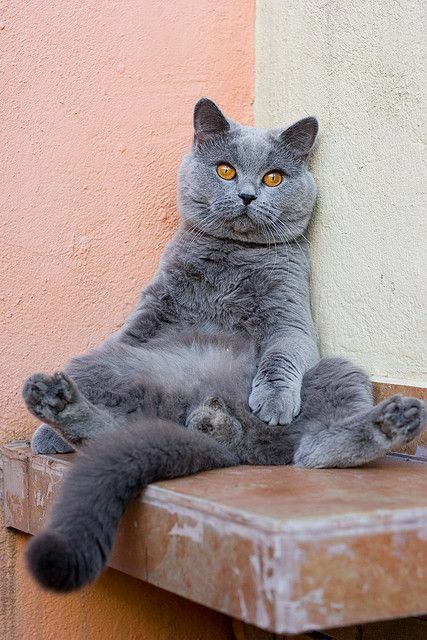 In the European cat shows the Chartreux cats come under the category of the British Shorthairs were hybrid cats are also allowed. In the US, the cats are identified by the breed and not color, which is a common policy in the UK, the stock of cats in the US is more pure than the ones found in Europe. The first Chartreux cat to travel to US was in 1970 with Helen Gamon of California. She brought a male Chartreux cat from a cattery in France with pure lines. This cat became the foundation of this cat breed in the United States. As of now this cat breed has been accepted by various associations, the CFA granted the championship status to this breed in 1987. Described a potato on toothpicks, it has a strong body, deep chest, broad shoulders all of which complements the medium to short, fine boned legs. This cat has good muscles that enable it to chase and catch mouse. The blue colored fur is of medium length and appears woolly. The coat breaks at the chest and neck. The dense undercoat protects it from other elements similar to sheep wool. The coat color is bluish grey. The tapering muzzle and round head gives the Chartreux a smiling look. The nose is straight with a stop near the eyes. The eyes are very round with curves at the corners and the color ranges from gold to copper. Ears are medium and set wide apart on the head. These blue cats have a life expectancy of 11 to 15 years and typically weigh in the range of 7 and 16 pounds. These cats can be brought at the price range of $600 to $800. 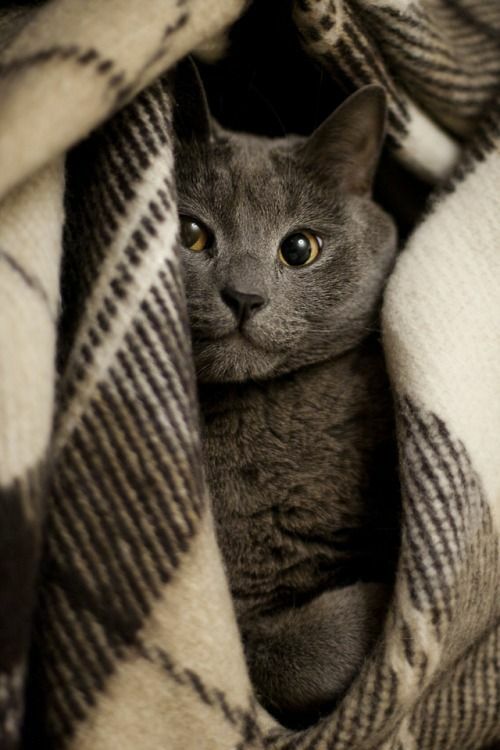 Chartreux is known for their great hunting skills. They are good companion cats, are loyal, friendly, and pretty quiet. They are comical, playful, and continue to keep this side until adulthood. They get along well with friends, guests, children and family members. These blue cats will enjoy a game of fetch and are very intelligent cats. With new people he can be a bit watchful initially, but tend to get friendly soon. They will obey any rules if you treat them with respect and offer them rewards. This cat is a good traveler also. 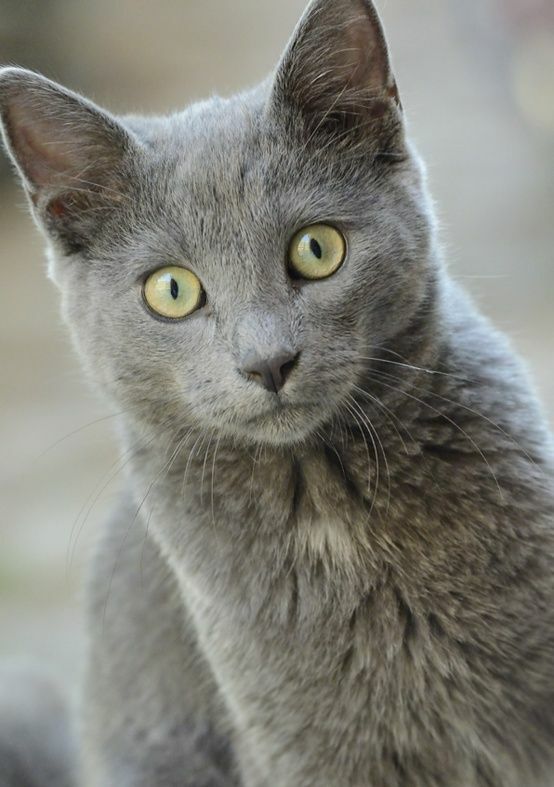 Chartreux are generally a healthy breed, but some health problems have been noticed. They may suffer from hereditary dislocation of the kneecap that can be sometimes severe to mild. Severe cases will need as surgery. The short and thick coat of this cat is easy to care. Brushing once a week is enough to get rid of loose hair from this cat. Their coat sheds in spring and might require extra brushing during that time. 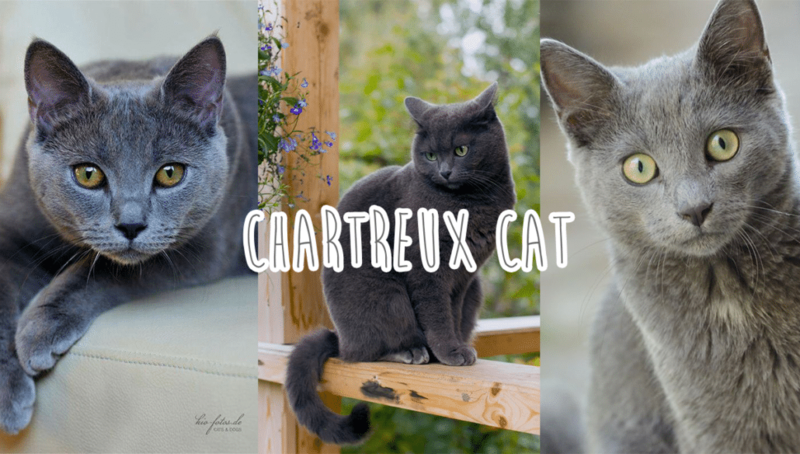 Chartreux is a healthy eater and needs high quality diet every day. They are curious cats and love to explore new environments. They are gentle cats and don’t use their claws frequently. They usually chirp and not meow like other cats. 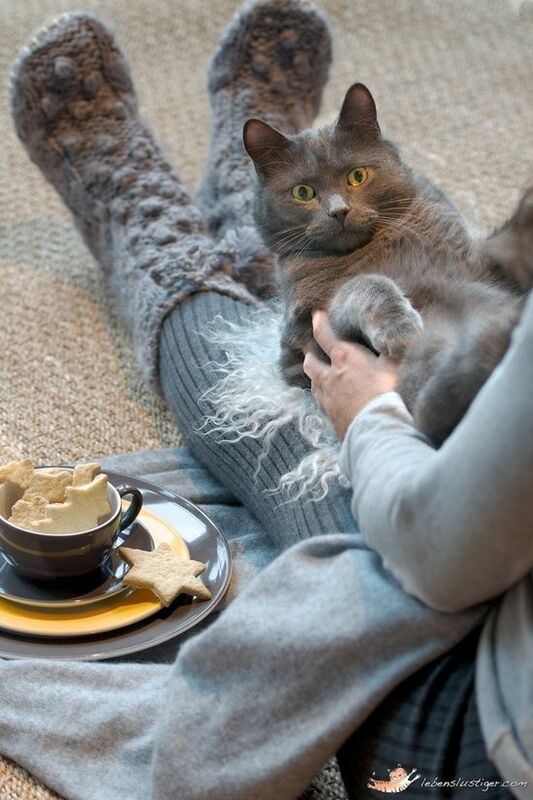 These cats tend to stay calm inside the house and do not indulge in destructive behavior. This breed is very sensitive and responds well to positive reinforcement. Challenge his brain and he will learn tricks quickly and remember to provide him with gifts. 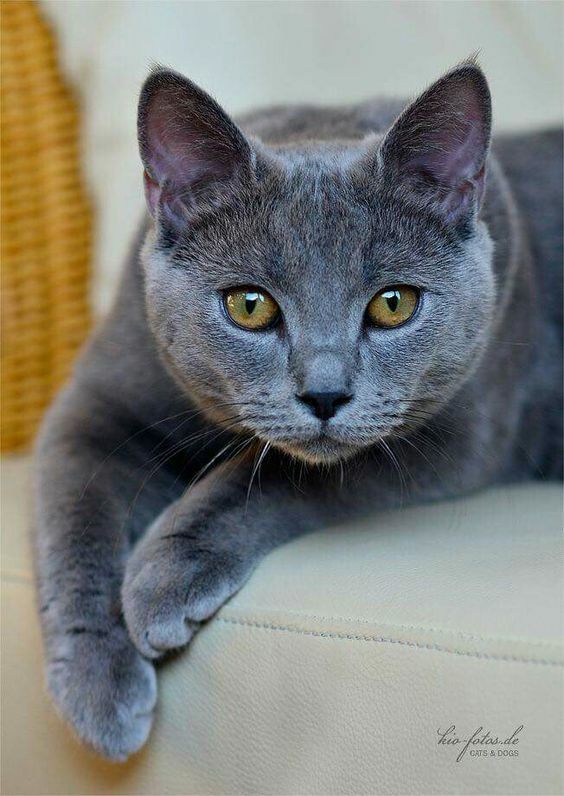 Chartreux is a people friendly cat and gets along well with children and other pets in the house. They don’t unnecessarily use their claws especially when they are with children. This typically European style cat has a constant sweet and smiling expression that has the ability to attract and impress a lot of people.